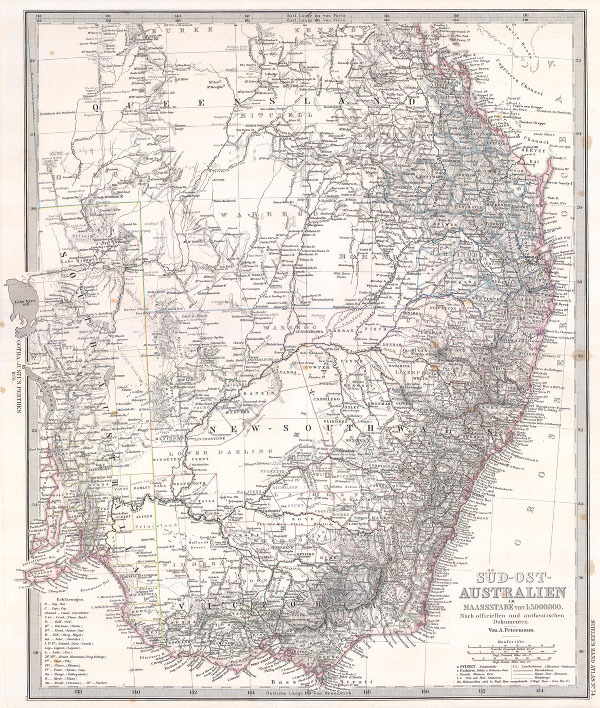 This fascinating hand colored map depicts Southeastern Australia including the provinces of New South Wales, Queensland, and South Australia. This region includes the important cities of Syndey and Brisbane. The whole is rendered with astonishing attention to detail with important notation on the routes taken by important explorers, geographical notes, and political references. Issued in the 1876 edition of Stieler's Hand Atlas.